If you have recently made the decision to invest in your confidence with a more attractive smile, that is great! Now, you are probably asking, “where is a cosmetic dentist near me?” When choosing a cosmetic dentist, you have many excellent options; however, it is important to understand that not all dentists are the same. While many general dentists offer certain cosmetic treatments, like teeth whitening, they are not specially trained in additional aspect of cosmetic dentistry. To help you achieve the results you want, we have easy tips to find the most qualified, and experienced cosmetic dentist in 77077 to transform your smile. Cosmetic dentistry involves changing the color, size, and shape of the teeth to improve their appearance. By doing so, you not only gain a more attractive smile, but you can also improve the function of the teeth. After an initial consultation is performed, a comprehensive treatment plan is created. Depending on the flaws hurting your smile and the results you want to achieve, your treatment plan can include one or more procedures. Commonly used procedures include: all-porcelain crowns, inlays, onlays, teeth whitening, porcelain veneers, and orthodontic treatment. 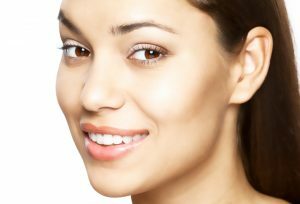 How Can I Find the Best Cosmetic Dentist? To ensure you make the best choice for a cosmetic dentist, there are several things you can do. While it will take a little work on your part, you can rest assured you have made an excellent decision. Check Before & After Photos: A gallery of Before & After photos on a cosmetic dentist’s website is one of your best resources. Take a good look at the images, keeping an eye out for cases similar to yours. Be especially wary if the dentist’s photos look like stock photography or appear to be heavily Photoshopped. Education and Experience: Anyone who graduates from dentistry school can call him or herself a cosmetic dentist – so you will want to search for a dentist who has post-graduate cosmetic dentistry training and credentials to ensure you are receiving the most advanced care possible. Ask Precise Questions: Before you can make any decisions, you need to take the time and truly understand the qualification process. For example, asking how much time a dentist devotes to certain procedures (such as placement of porcelain veneers) will give you a good idea of their cosmetic expertise. Where Can I Enhance My Smile? If you are ready to start the journey to a more attractive, confident smile Dr. Mark Gray offers the cosmetic services you need to transform your smile. In addition to general dentistry, Dr. Gray is also a graduate of the Hornbrook Group—Advanced Education in Aesthetic and Restorative Dentistry. This has provided him with advanced concepts for restorative and cosmetic care. Working alongside Dr. Gray is Dr. Newman, who also holds additional training in specialized fields, including certification for Invisalign. Get the confident smile you have always wanted with cosmetic dentistry. Contact our office today to schedule your consultation for your smile transformation.